After enjoying every minute of beautiful and sunny Seville (you can read about this city here), it was time to move on and start a new adventure. With Blablacar (people offer seats on their rides and you can buy those, most of the time it’s quicker and cheaper than taking the bus or train) we travelled to Lisbon in about 4,5 hours. In Portugal you go one hour back in time, which gives you an extra hour to enjoy this amazing country. Our guy from Blablacar was so kind to drop us off in front of our hostel. We stayed in We Love F****** Tourists Hostel and I must say it is one of my favourite places I’ve been so far. And that’s all created by the people who work there. The minute you walk in they are so genuine kind and helpful. They help you with your bags, give you some tea or wine, show you pictures of the city and tell you their recommendations and most of all: they make you feel like home. Besides that the location is in the heart of the city centre, they offer you a great free breakfast (toast, eggs, ham, cheese, fruit, chocolate cake, juices, etc. ), they have nice activities (don’t miss out on the tapas night!) and it’s very affordable. So if you ever plan to go to Lisbon, don’t think twice about where to stay – stay at We Love F****** Tourists. The city centre of Lisbon is beautiful. We walked a lot because you bump into little streets and places you otherwise would have missed. You will stop and stare at so many buildings just because of the colourful mosaic walls. 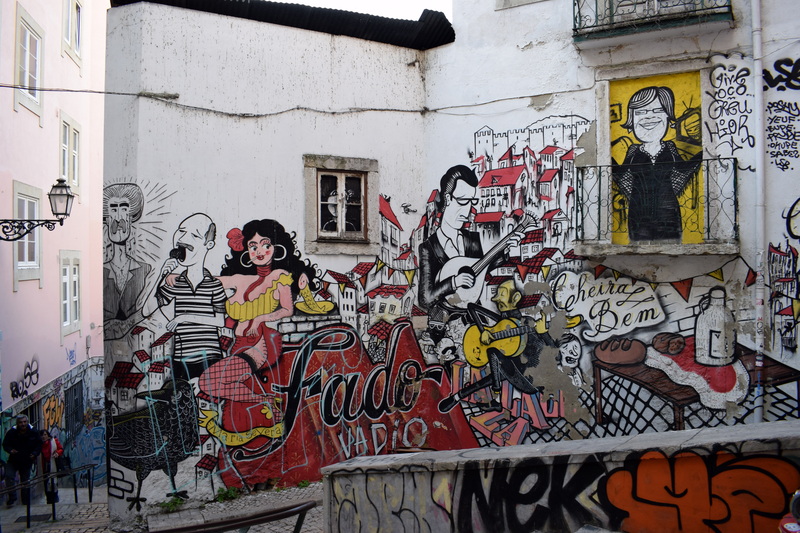 Lisbon also has a lot of cool street art, which gives it a cool contrast with the mosaic buildings. You will bump into viewpoints everywhere where you can relax and enjoy the amazing views over the city. Don’t miss out visiting the Sao Jorge Castle. It’s beautiful and has an amazing view all over the city. By the Electric rail you can take a visit to Belém with its beautiful Tower. It will take you about thirty minutes from the city centre to get there. 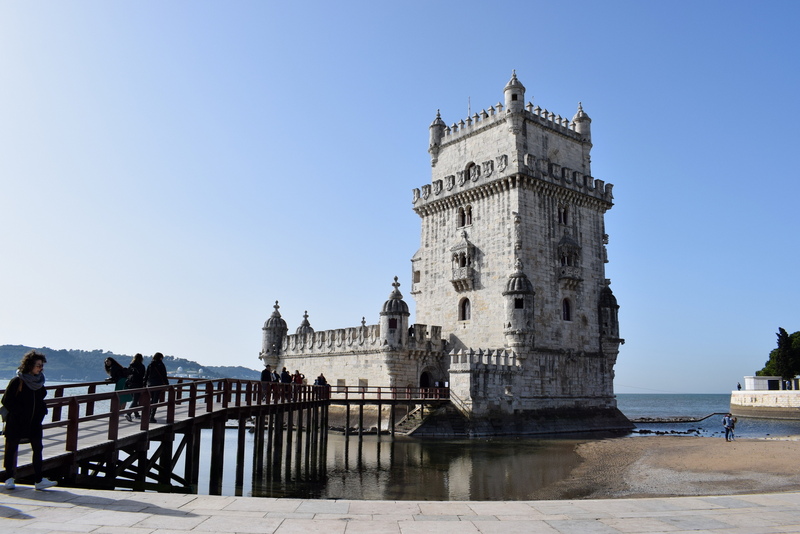 Besides the tower there is the monument Padrão dos Descobrimentos which was built to honour the Portuguese explorers who explored the world in the 15th and 16th century. It’s cool to get inside this monument and go all the way to the top (52 meters!) where you have an amazing 360 degrees view. 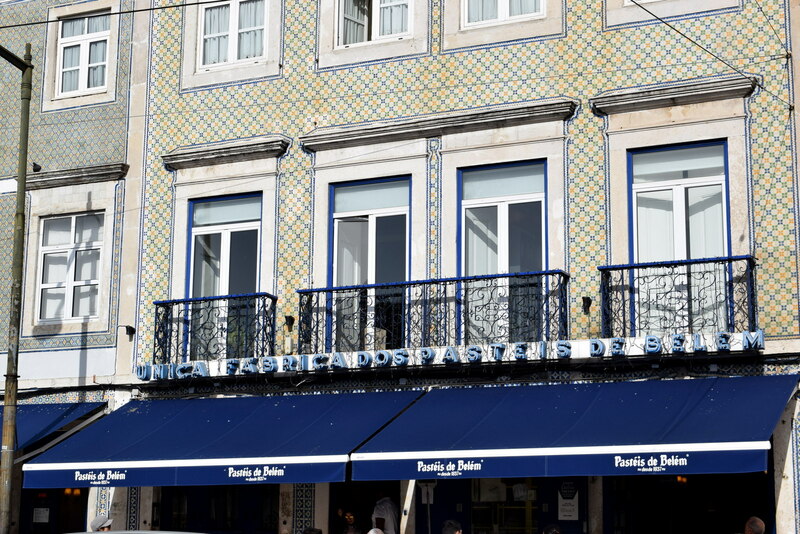 Another must when you’re in the area is to try the Pastéis de Belém at the same named cafe where you can eat the original Pastéis (the only place where they can call them Pastéis de Belém, anywhere else they all call them Pastéis de Nata). 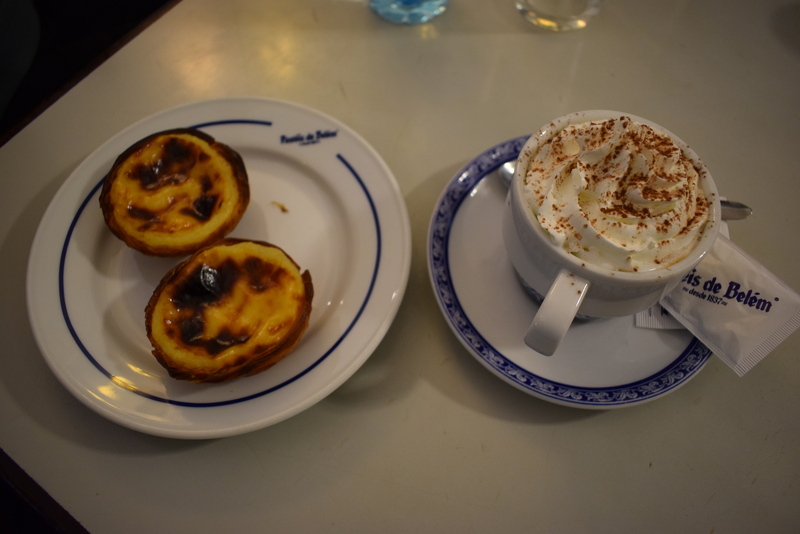 Pastéis de Belém is a pastry which you can’t miss when in Lisbon. In the middle of Belém and the city centre you can find LX Factory. LX factory is an old factory side where you’ll find cool street art, perfect coffee bars, mouth watering restaurants, pop up stores and other cool hotspots. I loved the library here (it’s called Ler Devagar) and we had the most amazing Mexican food I’ve ever had (the name of the restaurant is Mez Cais LX). 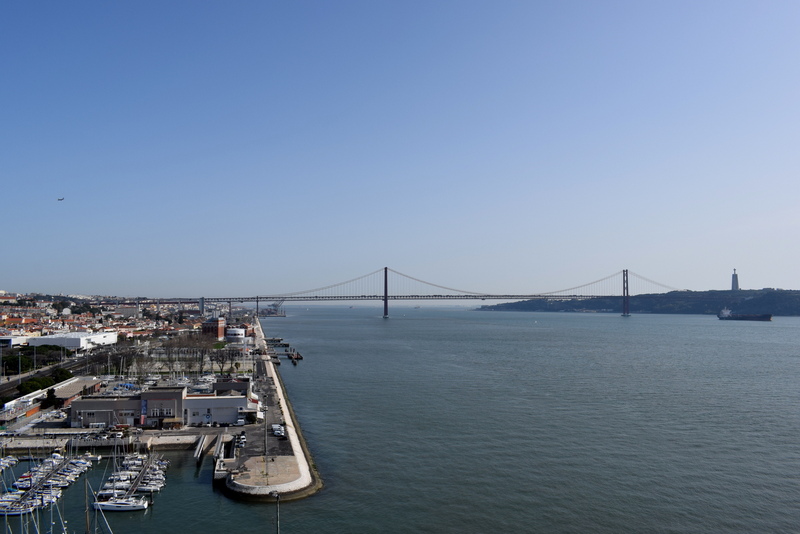 You are also very close to Ponte 25 de Abril which is a gigantic bridge which looks a lot like the San Francisco Oakland Bay Bridge. Erasmus Corner in the area Bairro Alto, which is known for its nightlife, is the place to go if you want to have cheap drinks (1.50 euros for half a litre of sangria/beer) and to meet some people from all over the world. It’s a great place to start your night! After that you can continue your party to Lisbon’s famous Pink Street (Rua Nova do Carvalho) which is literally a street painted pink. Here you’ll find more clubs and bars. Enjoying live Portuguese Fado music should definitely be on your list. There will plenty of places you can go to. If you’re staying in the same hostel as I did and you join the tapas night they’ll take you to some live Fado music as well after dinner. I loved this so much! The music is so emotional, it even moved me to tears. I loved how they play for fifteen minutes where everybody is completely silent, followed by a fifteen minute break where you can chat and order a new drink. It made the performance perfectly in balance. 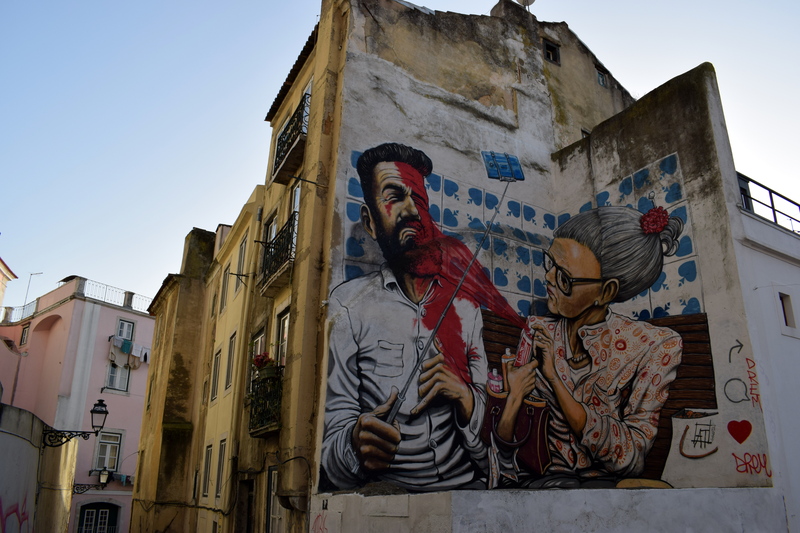 Besides the famous Pastéis de Belém and all the cool coffee bars and restaurants in LX Factory there are some places you shouldn’t miss too. The first one I loved is the wine bar By The Wine. It’s very popular among the locals so if you want to be sure you have a spot make sure to make a reservation (we had to wait for 30 minutes). 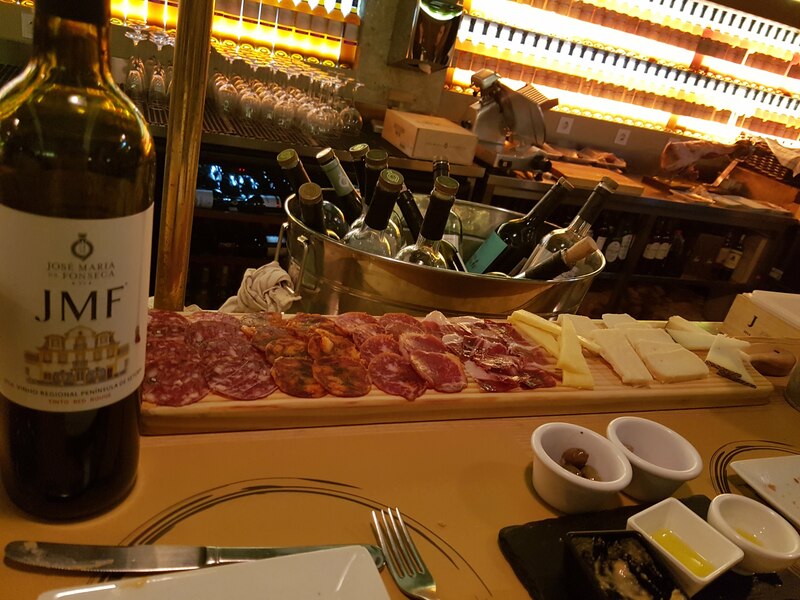 This restaurant offers the most amazing wines which you can enjoy in combination with some cheese, charcuterie and tapas while sitting at the bar. Another must go for every foodie is the Time Out Food Market which is an enormous food market where you can have everything your heart desires. When you’re with friends you can just order at different places and then eat it together – how perfect is this! 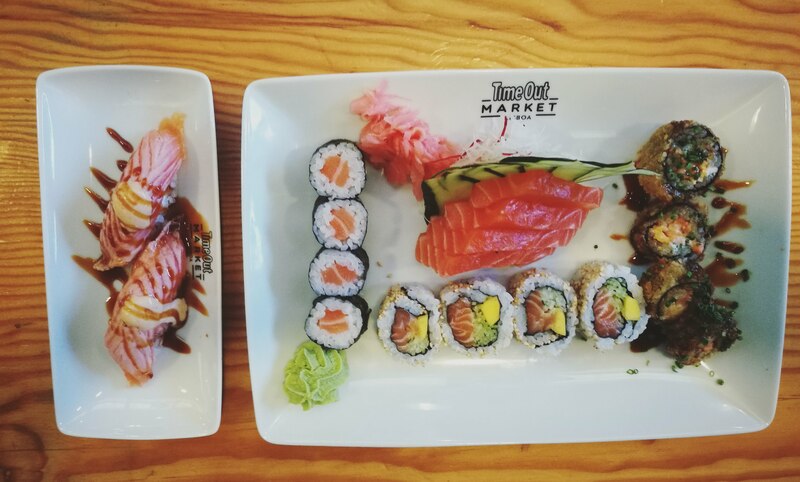 From traditional Portuguese food to Sushi to Sweets to Thailand – how you can say no to this place?